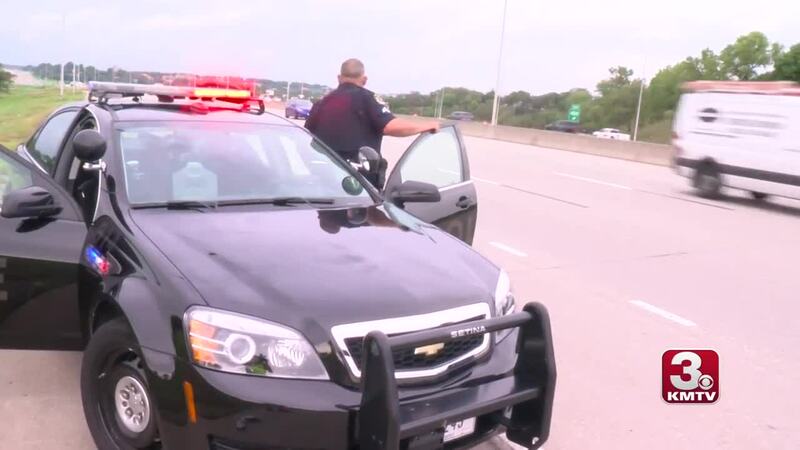 Every day, officers like Robert Fickel with the Omaha Police Department are putting their lives on the line, even on routine traffic stops. "A bit of inattention — you're doing 60-70 mph down the interstate — all it takes is a split second. And whether it be us on the side of the roadway or another motorist, we've seen it happen," Fickel said. When stopping speeders or traffic violators, it is on his mind. He says he doesn't have time to worry about it, but that distracted drivers are a growing problem. "You're doing your business with the citation, running a party on the computer, and trying to keep an eye on what they're doing up in the vehicle it doesn't give you much opportunity to look at what's coming up behind you," Fickel said, "so you have to trust people that they're doing the right thing to move over and not get so close to you so we don't have an accident." The Nebraska Department of Transportation says distracted driving crashes have increased almost every year in the last 10 years. Fickel says he has seen it all: texting and driving, people putting on make-up, dogs on their laps, and even shaving. "We get a lot of broadcasts where people call it in as a drunk or impaired driver when a lot of times, lately, it tends to be someone on a cell phone and they're texting or reading a text message or doing their Facebook while they're driving," he said. To increase safety, the Omaha Police Department has updated their emergency lights to LED bars and added directional arrows. 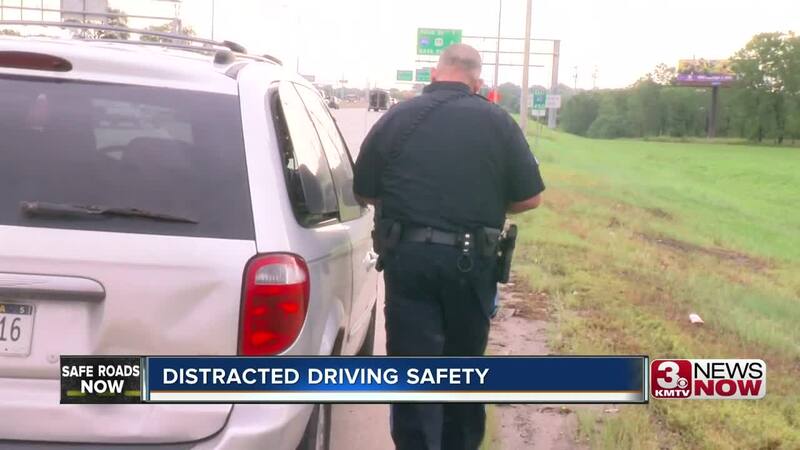 Over the last few years, Nebraska State Patrol and OPD cruisers have been hit by distracted drivers, sometimes seriously injuring the officer. "Put it down; it's not worth it — just put it down," Fickel said. "You can always get to that message, but if you create a bad accident, you have with that the rest of your life."